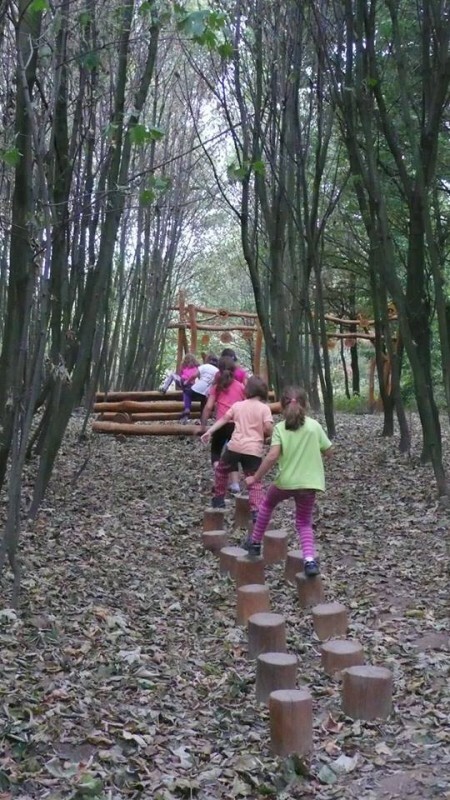 A unique barrier-free wood park follows Sanatoria Klimkovice grounds. 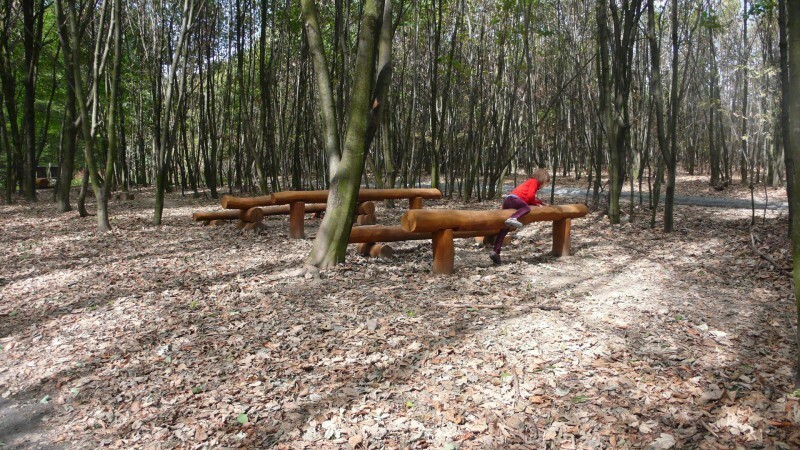 It is formed by a combination of ecological playing components, information panels and resting benches situated into settings of natural wood and connected by barrier-free patches. 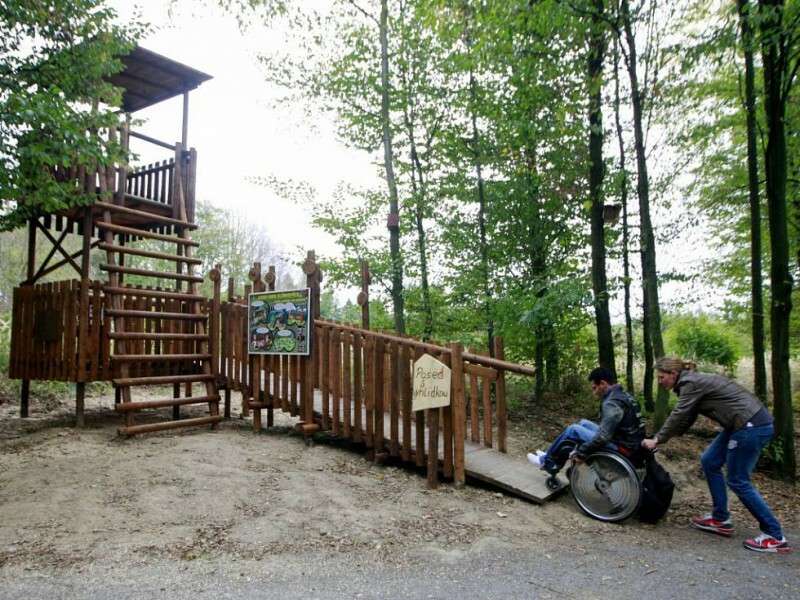 It naturally supports ecological behaviour and positive relationship to the nature, integration of handicapped people and common use of wood for recreational purposes. 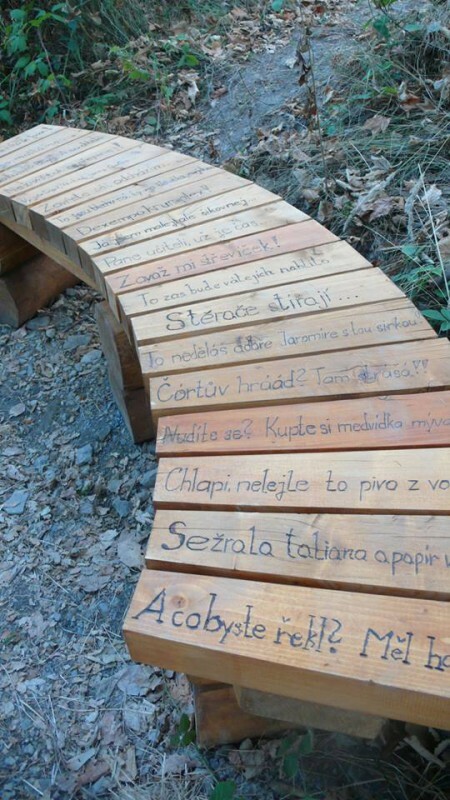 Information panels situated on educational path teach in a playful way how to contribute to emissions reduction. 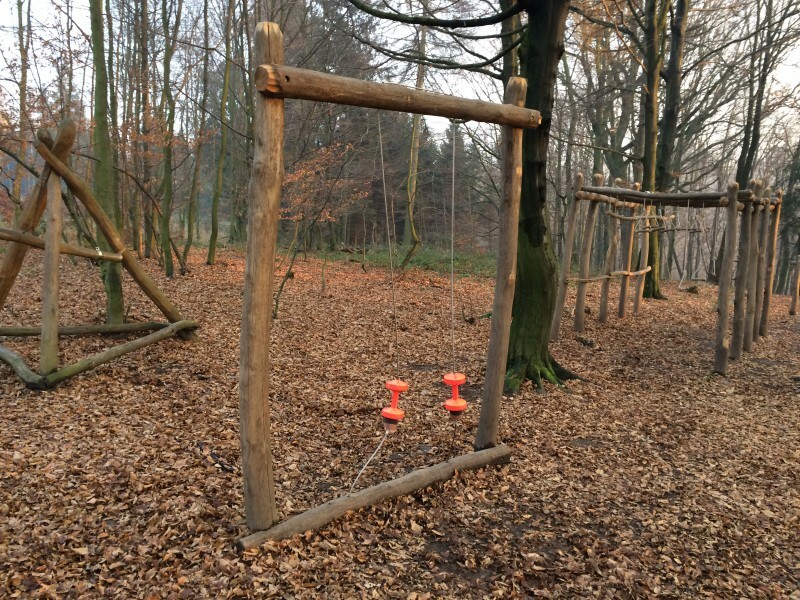 Movement area enables wood rehabilitation to visitors with handicap of movement apparatus. 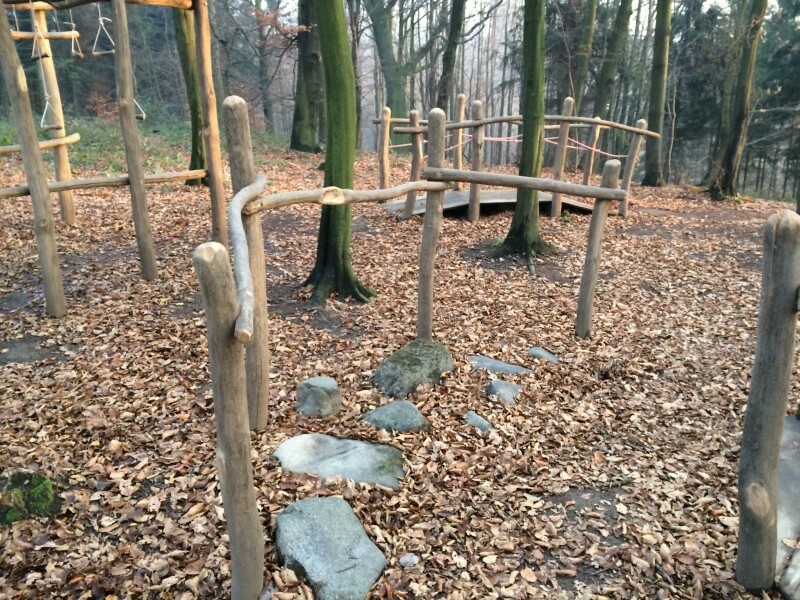 Playing wood elements support creativity, skilfulness and courage of children. 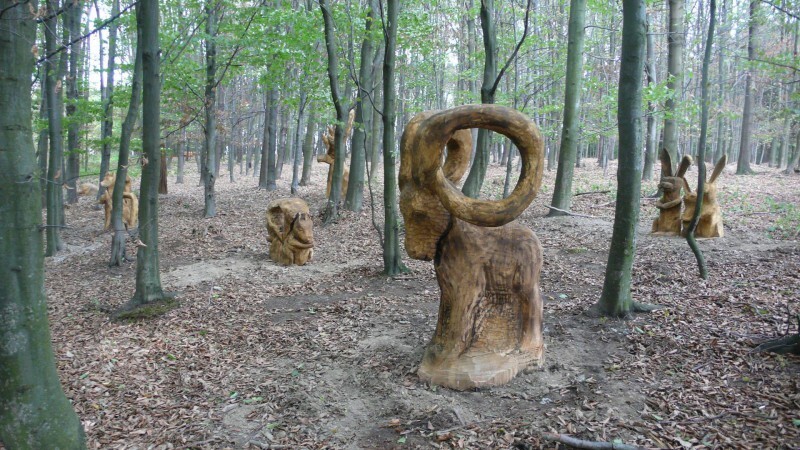 Thus the wood park is an ideal place for relaxation, walks and children’s plays. 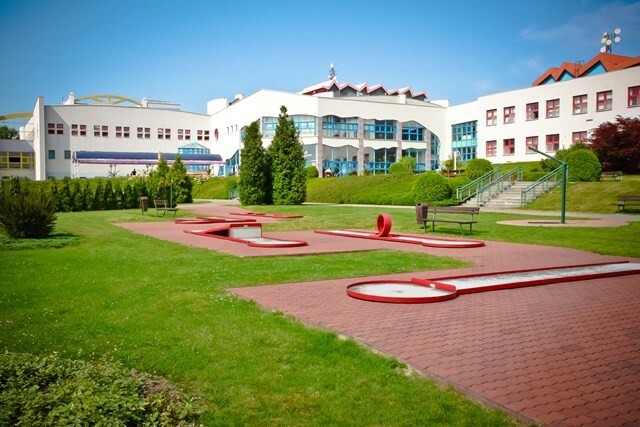 A quality, certified 18 holes minigolf course with the view of the Beskydy panorama and possibility of refreshment is popular not only with spa guests but also with other spa visitors. 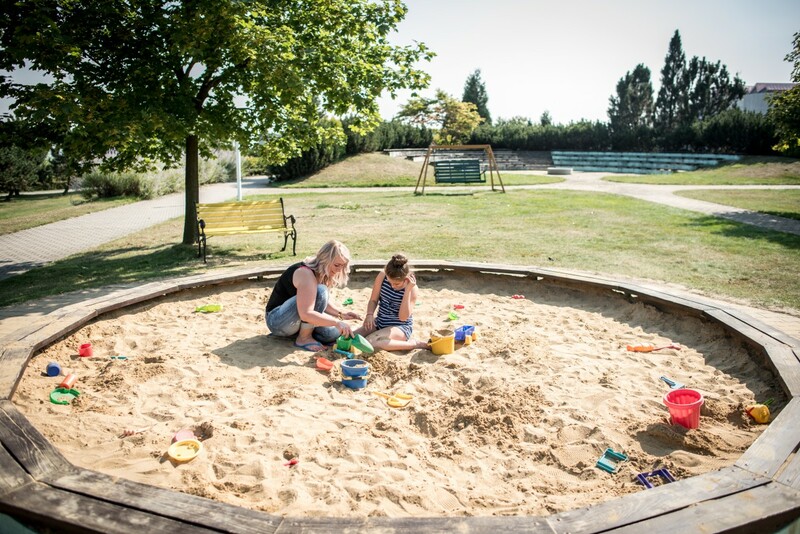 During favourable weather you can play from April to the end of October, every day from 8 am to 7 pm. 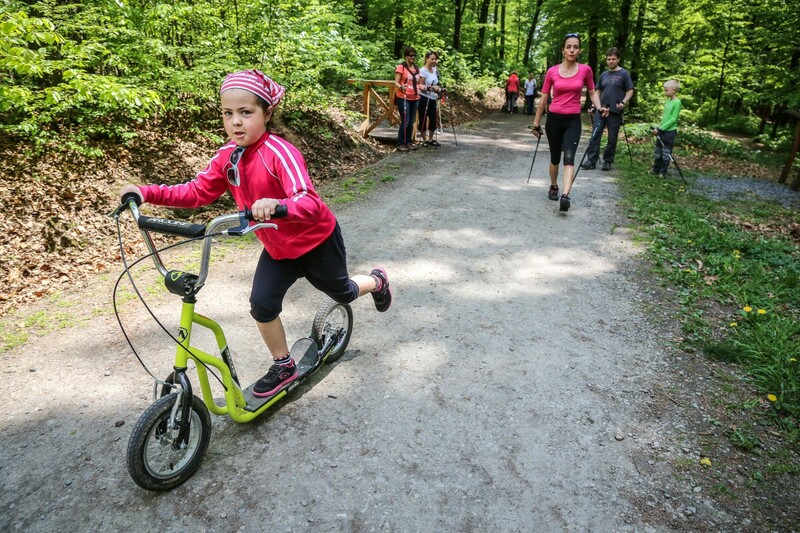 Clubs and other equipment can be borrowed at Café Kolonáda. Notice: one club can be used by 3 players at the maximum. 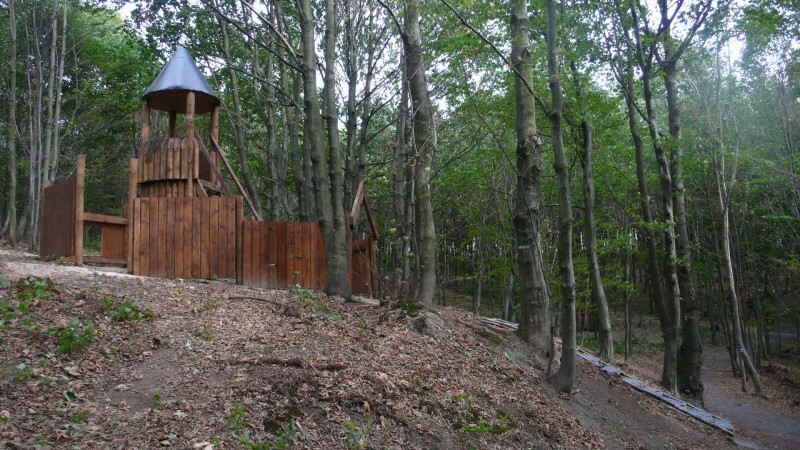 The playground is situated by the B building of Sanatoria Klimkovice. 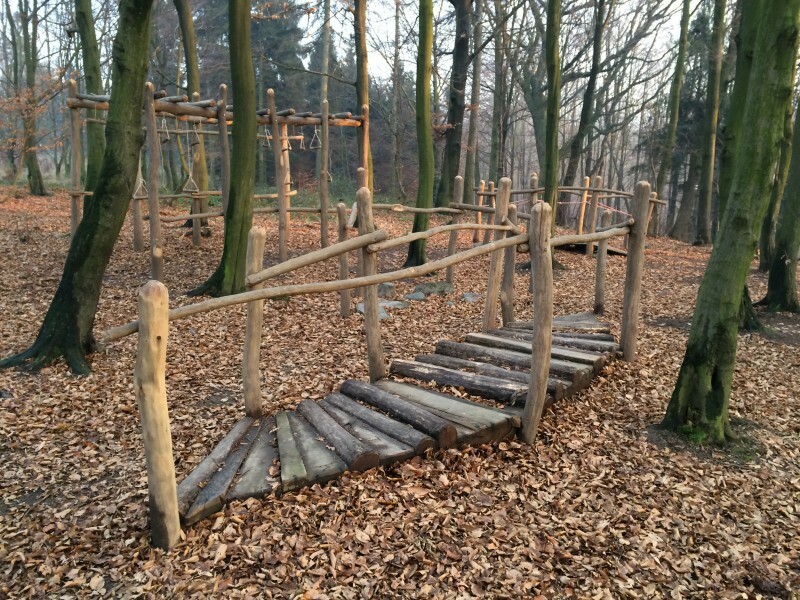 Children patients can use climbing frames and sandpits; youth can use multifunction field and other sporting areas.